Manor F1 Team have confirmed this evening that Roberto Merhi will drive alongside Will Stevens for the ‘opening rounds’ of the 2015 Formula One world championship. The team came back from the brink of collapse after falling into administration at the end of last season as Marussia before announcing in the last few weeks that they would race this year. 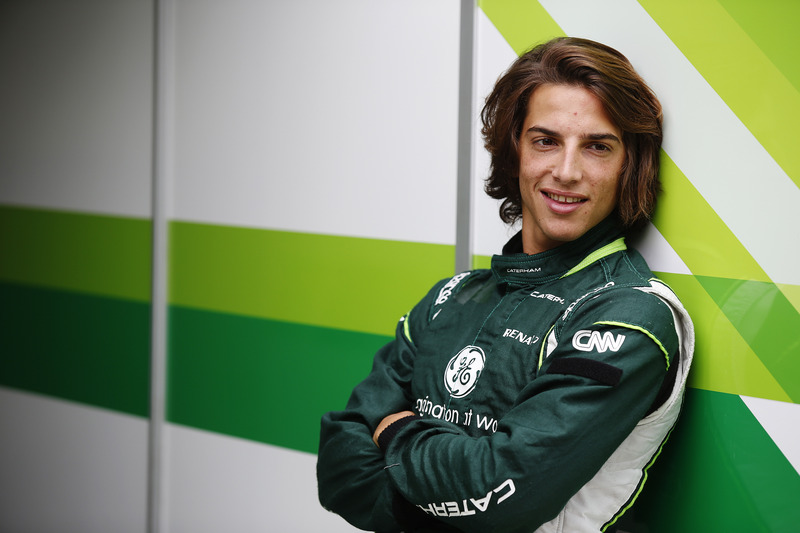 Merhi made his debut in Grand Prix machinery last season when he drove for Caterham in Friday practice sessions in Italy, Japan and Russia. The Spaniard had been scheduled to race in the Formula Renault 3.5 championship this year after finishing 3rd last season. It is unclear as to whether the 23 year old will continue to do so when the season starts in April. Merhi has had a strong career in the run up to his Grand Prix début after winning the European Formula 3 championship in 2011 before moving to DTM until 2013. He then moved to the Formula Renault 3.5 championship last year where he took three victories to take third in the drivers’ championship. The team announced shortly after that Jordan King, who will race in GP2 this year, will take the development driver role for the team. Jordan is the son of Manor’s interim chairman Justin King, one of the key players in the team’s revival. Jordan has previously won the British Formula Three championship in 2013. Manor will take to the track for the first time this year in first practice for the Australian Grand Prix on Friday. If the team start the race on Sunday, then they will earn £30 million after the team scored their first championship points last year with Jules Bianchi at Monaco.